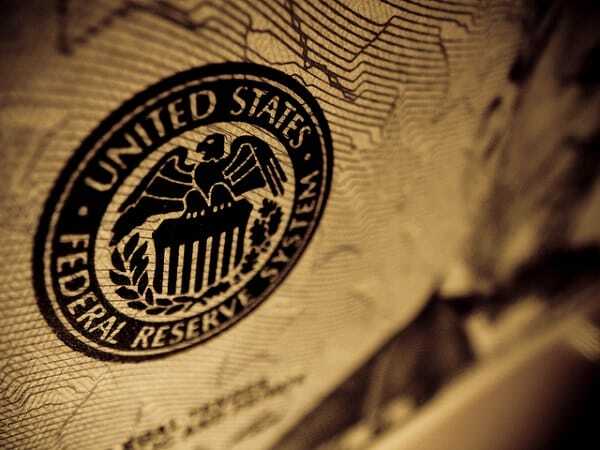 Earlier this week, a Federal Reserve official made the stunning admission that its credit expansion and debt creation policy is no longer having any significant effect on the economy. Now, even those in the mainstream are joining those of us who have been saying it for some time, and they’re raising serious questions as to whether the Fed has the ability to get us out of any potential future crisis, like the one we faced in 2008, a mere seven years ago. The solution to the 2008 crisis was to lower interest rates to near zero percent (ZIRP) and inject money into the system through a series of Quantitative Easing (QE) programs. While each of these rounds had a temporary impact in propping up the economy, it was far more effective and, in turn, contributed to today’s inflated asset prices and delaying the day of reckoning. Cutting interest rates and injecting false liquidity into the market via QE: These are the only two tools in the Fed’s arsenal to try to stimulate growth. So, when the next economic downturn inevitably comes along, what options does Janet Yellen and her team have other than to move interest rates into the negative or carry out QE4? So how insane is it that central banks around the world do the same thing over and over expecting it to solve the same problem? Their “solution” to the debt problem…is to create MORE DEBT! Greece is a perfect example of this insanity, using more debt to paper over previous debts. However, you could easily substitute Greece for Japan, China or the United States of America. When the economic planners keep creating debt, raising the debt ceiling and throwing fancy terms around like ‘Quantitative Easing’, they are heralded as economic geniuses who should be admired. Instead, they, by the very definition given by Einstein, should be classified as insane. With the Fed waffling over when (or if) to raise rates, Forbes argues that it is keeping investors on the sidelines and giving artificial values to certain assets. If the Fed does raise rates, the dollar will rise in value on the global currency market even more. And this is the last thing the U.S. economy needs right now, especially with it already struggling. The Fed has basically got itself into a situation where they are damned if they do, and damned if they don’t. Perhaps that’s why elite investors like George Soros, Stanley Druckenmiller, John Paulson and David Einhorn just went long on gold in a big way. Should you do the same? We’ve provided some of the facts here, and have plenty more info to share. At the end of the day, it’s your savings, and your move to make. Read here about Alan Greenspan’s warning on the looming bond market bubble.